Most homeowners have, by now, heard of asbestos and its dangers. While understanding that asbestos is not something to take lightly or ignore, many people don’t understand what makes asbestos dangerous and exactly where in their home to find it. Today, we’ll look at the dangers of floor tiles that used asbestos, primarily from the 1950s to about the 1980s. Friable asbestos refers to any substance where asbestos makes up over 1% of the total material composition and where the substance can be crumbled or ground (and potentially made airborn) by the efforts of a human hand. Non-friable asbestos also refers to a substance with asbestos making up over 1% of the total material composition, however the material cannot reasonably be crumbled or ground (and made airborn) by the results of a human hand. Obviously, most floor tiles which use asbestos as a binding material or component should not be easily crumbled into a powder by the human hand, making most asbestos floor tiles non-friable. It is very possible that older, especially water damaged, tiles can become friable; if this is the case, your tiles could be dangerous to keep in your home or remove without proper abatement services. If you’re ever in doubt, we suggest consulting an expert right away. Typically, it is illegal to attempt a removal of friable asbestos without proper remediation from a licensed team, but non-friable asbestos is often exempt from this. This doesn’t mean that asbestos floor tiles are entirely without danger, but are considered (at least legally) to be overall less dangerous to a single exposure. If your home contains floor tile installed before the 1990s, especially vinyl tile, you should take extra precautions when removing your floor tiles or consider hiring an abatement team anyway. Again, whenever possible, find out if your home or health insurance provider will pay for abatement services. In nearly every instance, it is better to have a professional abatement service take care of the work to ensure that no particles can linger throughout the home. Asbestos damage can often manifest up to 20 years after the exposure, which makes it difficult to know whether or not your DIY tile removal was successful or not. Often, abatement services cost far less than you may imagine, but carry far less risk. 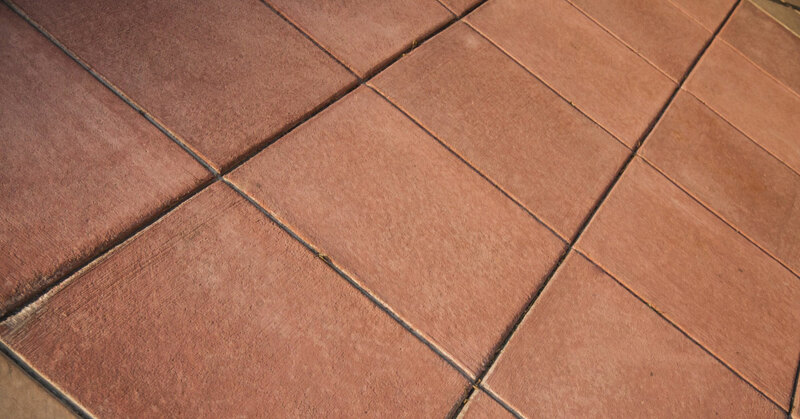 Whenever you need floor tiles for your San Fernando or Thousand Oaks home, be sure to stop in to Transworld Tile. Our wide selection and friendly staff have experience necessary to guide you towards the best possible floor tiles for you home.